Welcome to Monday! It was a quite chilly weekend, I enjoyed every minute of it! It was nice to have a change in the weather! Wishing you a week with moments of peace and clarity! 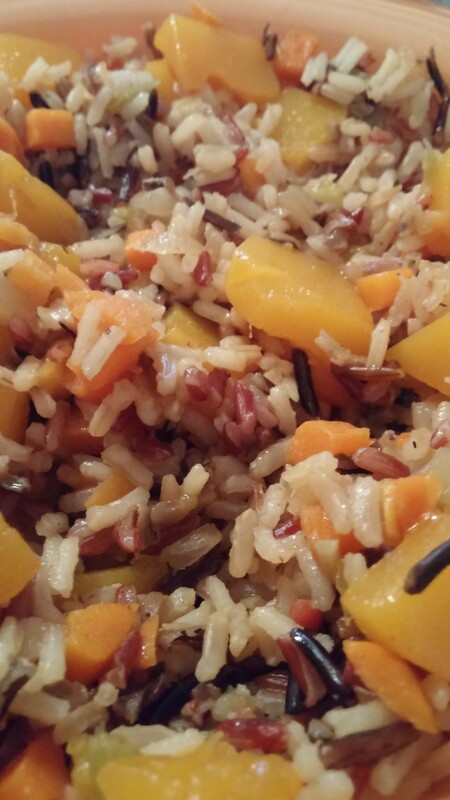 I recently saw a recipe for a cold rice salad that inspired me to create this warm salad. I had Butternut squash on hand so decided that would go well in my salad and then just because, I had to add some bacon!! I served this at a dinner over the weekend and it was a big hit! 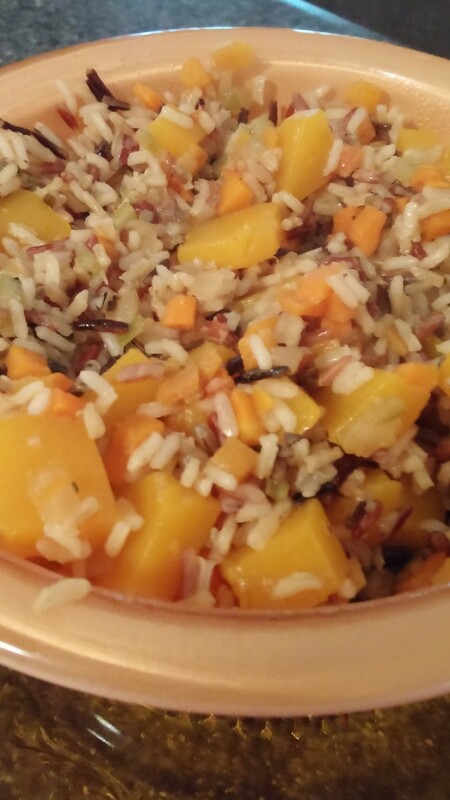 Even my family who do not normally eat squash tried it and liked it! ENJOY! Place all ingredients into a saucepan. Bring to a boil, reduce heat and simmer for 15 minutes. While the rice blend is cooking. In another pan, add 2 slices of bacon chopped into big pieces. Saute about 5 minutes then add a peeled and chopped Butternut squash with 1/2 cup mirepoix, this is chopped carrots, onions and celery.I find this at Wegmans already chopped (another Liz share!). Saute about 10 minutes then add 1/2 cup chicken stock and place a lid on for another 10 minutes, until most of the stock has reduced down. I removed the bacon pieces, you can leave them in but they are not crispy. Add this to the cooked rice mixture and serve warm! The bacon really gives this salad a good flavor! Delicious!